Though Atari was one of the founding fathers of the games industry, for many it will always be synonymous with the video games crash of 1983. The firm’s fast and loose approach to publishing, and its lack of quality control, was so severe that it killed faith in the sector resulting in a market collapse in the US. Since then, the name has passed through a number of hands, including Tramel Technology, Hasbro, Infogrames and IESA. Then in 2009, Atari parent company Infogrames rebranded itself as Atari SA. The once dominant brand has seen its worth diminish during the years, to the point when, in 2013, three of Atari’s subsidiaries filed for bankruptcy. Re-emerging wounded, but still alive. The Atari of today is a different beast to the one of old, with the firm now comprised of less than twenty people. 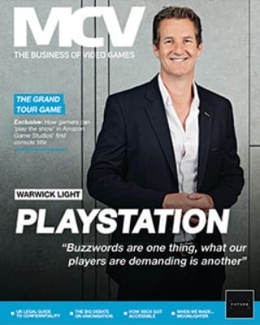 The brand has gone through a lot of ups and downs, a lot of big ups and big downs,” Atari SA CEO Fred Chesnais tells MCV. These days, Atari’s status is very simple – we’ve picked up the mess of 2013, we exited bankruptcy, we are now profitable. It’s still a very small company, if you look at the numbers you’ll see there’s nothing to write home about. But the brand is still here, it’s untarnished, it’s still very popular. We’re still doing a lot of licensing agreements that generate millions of dollars. For instance, during the first six months of this fiscal year, we have entered into licensing deals in the casino space and it’s taken over $1m dollars. We’re branching out of the game business. We have entered into licensing agreements in the movie space and we’re working in the TV sector through licensing and co-productions. It’s clearly a brand for the generations. We get loads of calls asking us to licence the Atari brand. to what the community is saying." Yep, this new Atari has made its fair share of mistakes. The firm launched a new Asteroids game into Early Access in March of this year. Entitled Outpost (pictured below), this was a survival game akin to Minecraft or Rust. Then in June, the publisher released Alone in the Dark: Illumination, a team-based shooter where players were neither alone nor in the dark. Both games faced severe criticism from both video game journalists and consumers. We make mistakes in video games,” Chesnais says. So first and foremost, we read what the fans say and we always try to bring the games to the next level. We read what they are writing in the forums and we always try to improve the situation. Each game has its own story and history. 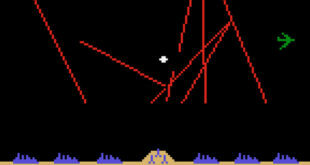 With Asteroids, for instance, the idea was to start with a solo experience and keep adding to it. The fans did not respond to that. On Alone in the Dark, the game is very stable but people didn’t like the gameplay. They were asking us why it was a shooter and they were telling us it was too repetitive. We’re working on addressing that. This isn’t a situation where a game is released and we say: ‘Hey, it’s out’; and then we clean up and don’t care about it. We do care about these brands, we are really, really trying to pay attention to what the community is saying and to do our best. Atari certainly appears to be trying, if its recent Rollercoaster Tycoon game is anything to go by. The publisher has changed the development studio working on Rollercoaster Tycon World twice. The firm initially had Pipeworks developing the title, before handing the game to Area 52 after quality concerns. Atari then gave the reigns to Nvizzio Creations, again citing quality. 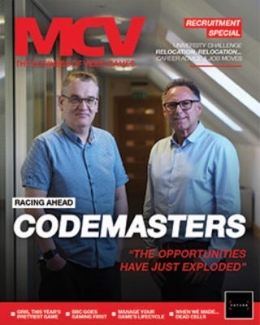 "The main issue with new IP is standing out. That’s why we brought the Atari name back." Looking at Atari’s recent releases – Alone in the Dark Illumination and Asteroids: Outpost – many might think that the firm is just looking through its portfolio of existing IP and attempting to revive them with modern stylings. But Chesnais says that it is looking into new IP, too. 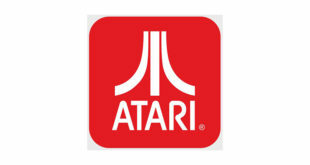 However, Chesnais says that Atari’s main focus will be on its existing brands. We have more than 200 games in our portfolio,” Chesnais explains. On the App Store you have thousands of games. 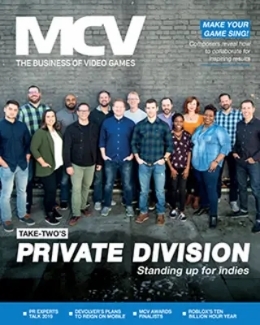 The main issue you have with new IP is standing out, so people will notice your game. 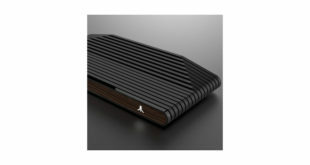 That’s why we brought the Atari name back, to exploit the portfolio of IP. We’ll see a title’s gameplay, think it’s interesting, and ask ourselves if there’s a brand in our portfolio that we could match to that by making a game of that style. Asteroids: Outpost is a very good example of what we are trying to do, even if we have failed on this one. Previous Are you elligible for Games Tax Relief?